This is the latest Kay Scarpetta story. In this book, Kay is living in Boston with her husband, Benton, and is still working as a medical examiner. She is getting ready for a visit from her sister, Dorothy, and dreading spending time with a person who has not had much time for her in the past. She is out to dinner with her husband when she learns that a dead body has been found in a near by park by two 14 year old twin girls. Unsure if it is an accident or foul play, Kay is called to the scene to uncover what happened. She and her long time friend and police confidant, Pete Marino, secure the scene and try to piece together what happened to this young girl who seems to have hit a light pole with her bike and died. Meanwhile, her husband and Marino received suspicious fake phone calls from Interpool about the case. These calls don't make sense, and soon Kay, Marino and Benton realize they are dealing with foul play. And they think it is from someone who has caused them harm in the past. I was very disappointed in this book. 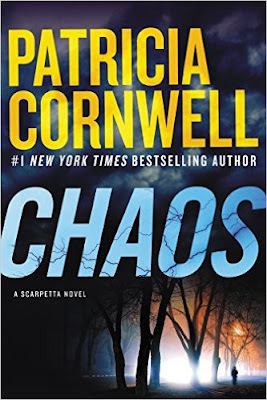 As a long time Patricia Cornwell and Kay Scarpetta fan, I am always excited when a new novel comes out. I should have read the Amazon reviews and avoided this one. For the last several books Cornwell has written about Kay Scarpetta, I have become increasingly weary. Patricia writes her characters so rich and so fantastical these days, they it just makes me roll my eyes and hate the characters. Half of it isn't even realistic. Kay has everything at her disposal - you name it, she can get it. Her niece, Lucy, is a super genius who owns several cars, planes, helicopters.....who cares! Patricia spends more time writing about the names of their cars and suped up vehicles more than the case itself. IT took almost 200 pages before she even got to the crime. Kay Scarpetta has become so self absorbed and arrogant, I just couldn't stand her by the end of this book. I am sad that this book was such a disappointment. I think I am done with this series. Cornwell WAS an excellent writer - back at the beginning of this series.